The two Khans, Salman and Kabir, came together last time in the delightful and moving Bajrangi Bhaijaan. So obviously the expectations were high with this one. Unfortunately, this one disappoints. Kabir's intentions are right. He tackles with issues that are generally swept under the carpet. One, bullying and teasing someone who's not so privileged as the rest of us is an accepted norm in our country. The second is racism. 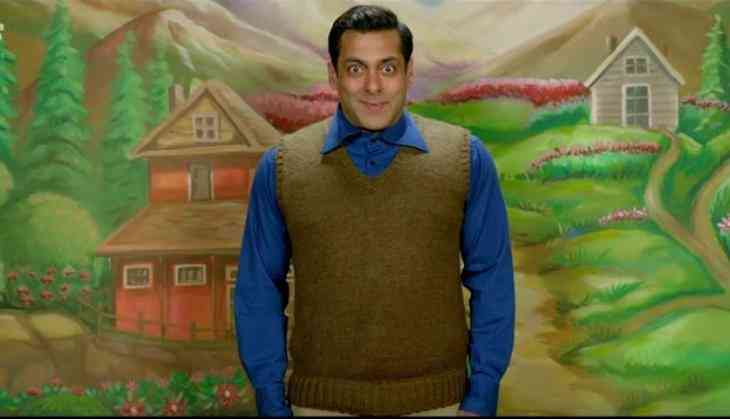 Laxman (Salman Khan) is called Tubelight because he's slow. But he doesn't care much for the world, because his brother Bharat (Sohail Khan) thinks the world of him and calls him Captain. The film is set in 1962 and Bharat, a soldier, is sent to the border during the Indo-China war. Laxman is waiting eagerly for his brother to come back safely, while being generally ill treated and laughed at by most others. Laxman's mentor (Om Puri) tells him that his faith can move mountains and he takes it literally. 'Miracles' begin to happen soon after. In the meanwhile, he befriends a family of Chinese origin. This story, adapted from a 2015 American film, Little boy, might have had potential, but the confused execution and too much indulgence kills the flow of the film, leaving one unaffected and unmoved. First of all, both Salman and Sohail don't look the age they are supposedly playing. And then obviously uncomfortable with the nuances that his character demands, Salman ends up making this more a caricature than a performance. The rest of the cast is pretty good. Chinese actress Zhu Zhu makes a decent debut. Matin Ray Tengu is naturally gifted and one wishes to see more of him soon. Mohammad Zeeshan Ayub stands tall with his brilliant performance.